We love Christmas here at The Wine Gallery. It’s the perfect time to gather together with your friends and family, and stuff yourself with delicious food while finally getting to crack open those bottles you’ve been setting aside in preparation for the big day. Spicy, seductive reds paired with your glazed ham, refreshing crisp whites to go with your seafood barbecue extravaganza, a handful of sticky, sweet dessert wines for kicking back with at the end of the day… and let’s not forget the sparkling wines that flow from lunchtime through to the evening. What’s not to love? It’s also a great time to try your hand at a few new boozy creations, especially if you’re hosting Christmas this year, and are expecting guests to turn up with presents and dishes of their own. Nothing quite beats the delight of a chilled, sophisticated cocktail to get everyone in the mood, or to help you wind down after the frenzy of Christmas morning (those of you with kids will know exactly what we’re talking about). Mixing up your own cocktails never fails to make you look like an individual who has really got everything sorted, even if inside, your mind is going at a thousand miles per hour trying to calculate cooking times, or attempting to remember where you’ve been hiding the spare deckchairs for the past year. Because we can’t imagine Christmas without trying to cram wine into every available moment, we’ve come up with three absolutely killer wine cocktail recipes you simply have to try this year. Simple, delicious, and brilliantly elegant, they’re sure to get your Christmas lunch off to the best possible start, and will even make a full day with your extended family bearable. Check them out, and thank us later! Now you’re talking. This is an absolutely classic cocktail from the 1950s that’ll help you live out all your most decadent Mad Men fantasies this festive season. It’s a real celebration of the grape, too - three out of five of its ingredients are grape-based - and it’s sure to add a real sense of elegance to even the humblest of Christmas parties. Smash together the berries and the simple syrup in a cocktail shaker, then fill halfway with ice. Pour in the Cognac and the white wine, and shake well. 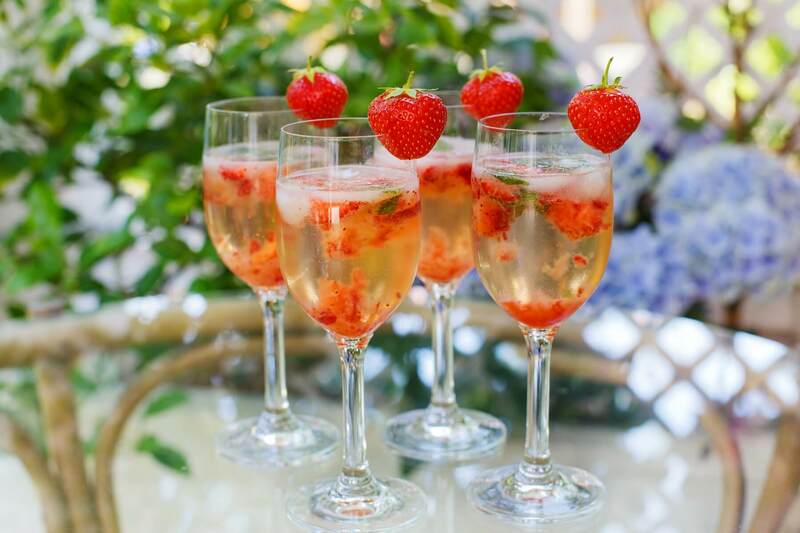 Pour into a wine glass, top up with the sparkling wine, and garnish with a berry or two. Who doesn’t love a Negroni? This timeless cocktail is a real favourite of drinkers all over the world… but we feel that this festive twist might be even better than the original! The Ruby Negroni takes everything you love about the classic, and throws in a few extra ingredients that up the ante when it comes to dryness and depth of flavour. It’s sure to be a winner! Pour the Gin, the Campari, the Port, and the syrup into a mixing glass with some ice, and give it all a good stir. Strain into a Champagne flute, and top up with the sparkling wine. Garnish with a raspberry, and enjoy! This is an absolutely fantastic cocktail for Christmas breakfast or brunch - and as it’s one of the only days of the year when opening a bottle of bubbly pretty much straight after getting out of bed, we reckon it’s possibly the best start to the day you could possibly wish for. It also gets extra points for being made from tinned peaches, which is one of those childhood pleasures that Christmas morning is all about. Add the tinned peaches to your food processor, along with the juices in the tin. Whizz up until really smooth. 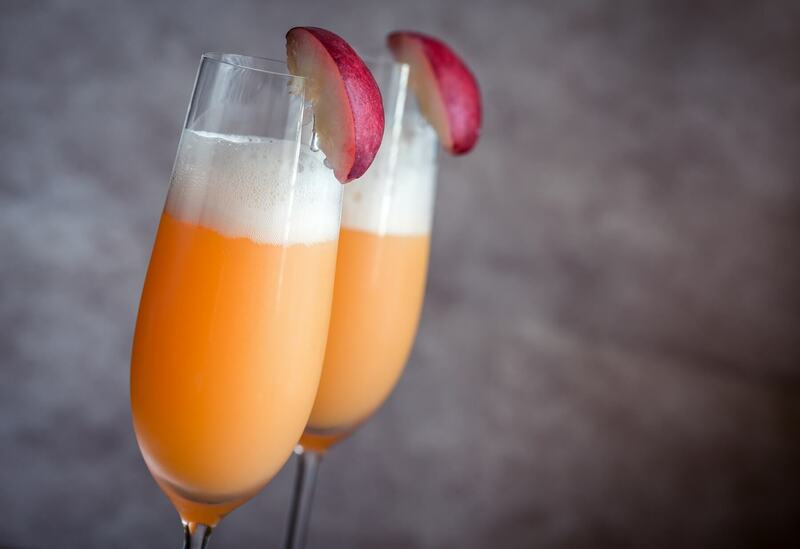 Divide the peach puree between however many Champagne flute glasses you’re using - you want a couple of centimetres of puree in each one. 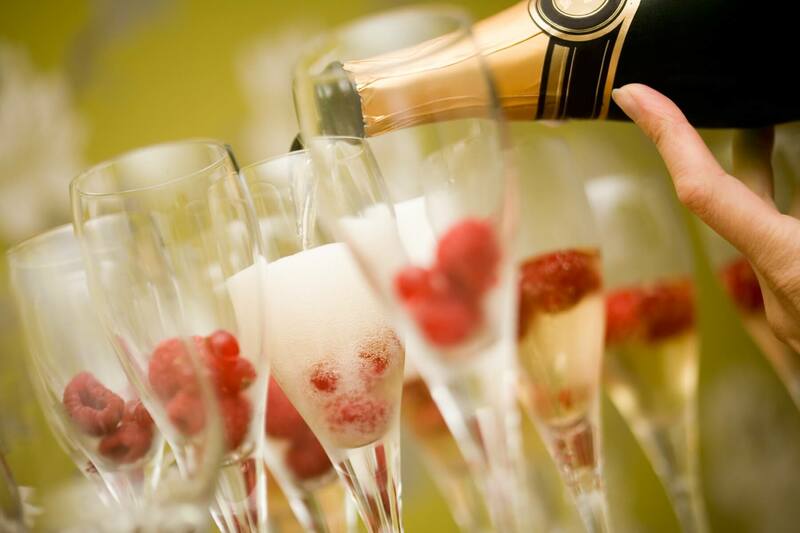 Top up with Champagne (pour slowly and carefully, as you don’t want a sticky mess! ), and serve immediately as the kids attack the pressies. There you have it, a list of wine cocktails perfect for this time of year. Now that you have the big day handled. Let us help tick off your pressie shopping to-do list this year, for all the hard to shop for relos and loved ones (see how we kept them separate). When you gift a Wine Gallery journey you can let us do all the hard work and choose the perfect bottles for their tastes. See how our gifts work here.